From reticle choice to adjusting a scope's diopter, choosing a scope for your rifle requires an understanding of how each component works and impacts performance. You don't need to be an optical physicist to have an above-average understanding of how hunting optics and scopes work and how to use that knowledge to make a good purchase. That said, scopes are incredibly complex devices that rely on a myriad of moving parts and principles to function properly. An understanding of how these systems work, and what that means for performance in the field, is critical to choosing a scope you'll be satisfied with. Here are seven things you should know about optics before you hit the gun store. In recent years, scopes with 30 or 34mm tube bodies have gained popularity. Though larger and heavier, the higher diameter tubes allow for larger internal components, which do a better job managing light. The larger tubes are also typically more robust than the 1-inch models. As with any choice when selecting optics, there will be trade-offs when selecting tube diameter. Scope Buying Tip: If your hunt involves long hikes or you need to keep optics as compact as possible, check out the the 1-inch models. They may give up some light management, but they will save ounces on your rifle. Meanwhile, if your hunting or shooting activities are mainly stationary, or weight isn’t a serious consideration, 30mm may be something to consider. You might benefit from the stouter construction this chassis can offer. Low-light performance of a scope relies on many factors. No other factor plays as significant a role as exit pupil. Simply calculated, the exit pupil is found by dividing the objective lens diameter by the magnification. For an 8x32 binocular chassis, the exit pupil is 4mm. On a 2.5-10x50 riflescope, it ranges from 20mm on 2.5X to 5mm on 10X. A general rule of thumb: keep the exit pupil above 4mm when being used in low-light conditions. This provides your eye an adequate, appropriate amount of light when it's dilated in darker field conditions. During brighter conditions, your eye's pupil constricts. That means you’ll need a smaller exit pupil, and it’s fortunately suitable at these times. 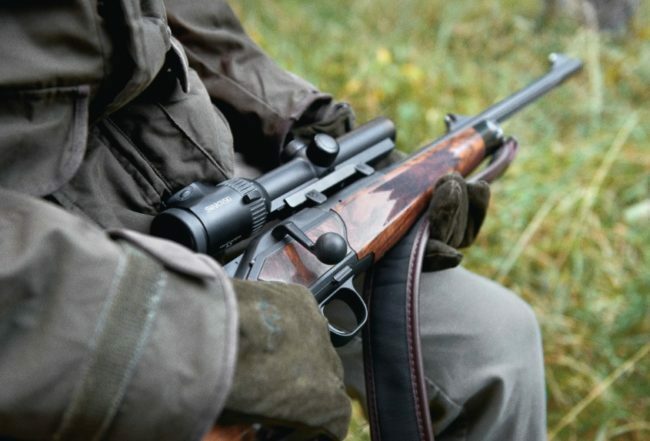 Scope Buying Tip: A hunting scope should provide a 4mm exit pupil throughout the magnification range. This may mean less magnification, or possibly getting a larger scope than planned. You'll want to understand the trade-offs in performance. In my experience, over-adjustment causes more perceived issues with riflescopes than any other issue. While having a scope with a lot of internal adjustment may seem like a good thing, in reality it is simply a crutch for poor mounting technique. The goal when mounting a scope should be zero adjustment to the turrets to sight the optic in. Scope Buying Tip: Bore-sighting is a common service.When using a boresighter, people have a tendency to crank the turrets into place without keeping track of the adjustments. Best-case scenario is the scope isn’t as clear as it should be. Worst case, it can’t function because the erector assembly is floating or pinched. Opt for the live-fire sight-in if you can make it happen. Riflescopes are equipped with diopter adjustment to help focus. In a riflescope, the diopter, at the back of the eyebell, is used only to focus the reticle. It should not be adjusted to focus the target. Diopter adjustments are meant to be set for your eye, then left alone. To set your riflescope diopter, look through the riflescope at a plain background closer than 20 feet. Adjust the diopter until the reticle is perfectly clear. Once the diopter is set, do not adjust it. There is no need. Failure to adjust the diopter on your riflescope can lead to a fuzzy reticle, which isn’t going to provide the most accurate aiming possible. It’s common for people to complain that, when using binoculars for extended periods of time (or sometimes if using them at all), they suffer from headaches. The most likely cause is not having the diopter properly adjusted. Much like using glasses that aren’t prescribed for your eye, a binocular that hasn’t been adjusted properly is going to lead to a headache. Scope Buying Tip: Feel free to ask the store to help put your scope in focus. Unless the scope has an AO or side-focus feature, the diopter is not for adjusting target clarity. A reticle is the crosshair or aiming point of your scope. Recently, ballistic reticles have garnered a lot of attention. Hunters and shooters alike are drawn to the ease of use and accuracy of ballistic reticles that match the round used in the field. Sadly, this has also led to a great deal of confusion regarding these reticles and their capabilities. No other reticle suffers from the amount of misinformation as does the Mil-Dot reticle. Often referred to as a ballistic reticle, it’s function isn’t truly ballistic. A ballistic reticle is designed around the ballistic curve of a given round. As any round travels down range, the amount of drop increases as it loses velocity. That is to say that the drop of a .270 bullet from 200 to 300 yards is less than the drop of the same bullet from 500 to 600 yards. In a ballistic reticle, the aimpoint that corresponds to those yardages must be further apart to be truly ballistic. A Mil-Dot reticle is comprised of dots, or half dots, that are evenly spaced throughout the reticle field. To keep things simple, we will assume Mil spacing is 3.6 inches from center of a dot to center of another dot at 100 yards when used on 10X. Because the dot distance is evenly and consistently spaced, it cannot account for the ballistic curve of a bullet at long range. The Mil-Dot is actually better suited as a range-finding reticle. Because the dot distance is known and can be recalculated depending on magnification — if a target of known size is being shot — you can use a mathematical equation to solve for the distance. Those trained on the Mil system find it quite useful, but for most shooters it requires too much calculation to be done on the fly for it to be used effectively. Scope Buying Tip: If a ballistic reticle is what you need, steer away from the Mil-Dot. Understand exactly what you want the scope to do then work with your gun store to understand the implication of a choice in reticle. Parallax is the most complicated optics issue on this list. Scopes equipped with an adjustable objective (AO) or side-focus system can correct for parallax error. Though it can be corrected with a side-focus system, parallax error is not a focus issue. Parallax error can cause point of impact variance because the reticle and the target are not on the same optical plane. The reticle lens inside the scope is viewed over top of the target image, for this instance, 200 yards away. On a fixed parallax scope, the parallax is corrected for at 100 yards. This means that the optical system at 100 yards has compensated for the distance. So when you move your head slightly, the reticle and the target move together, as if they were on the same optical plane. At 200 yards, that same slight movement of your head would show that the reticle can float off target. For most hunting situations, the issue is negligible. The movement is typically measured in inches — or fractions of an inch — but for precision shooters that could mean missing the target completely. AO and side-focus systems adjust internal lenses to remove that error. While making this adjustment, the focus of the target often improves as well. It is important to note, however, that being in focus doesn’t mean parallax has been resolved. Also, resolving parallax doesn’t mean the target will be in perfect focus. The only way to know that parallax is corrected is by moving your head slightly, up and down and side to side, to make sure that the reticle and target image or moving together in unison. One common mistake: the assumption that if you turn the focus knob to 100 yards, sight-in the rifle and then turn it to 200 yards, that the rifle is now set to that yardage. That's not the case. AO and side-focus systems do not adjust the reticle. Scope Buying Tip: If parallax correction isn’t necessary, steer away from those models. More often than not, especially with hunting optics, keeping it simple is the best way to go. Features that complicate functionality just open the door for errors to be made in the field. First focal plane (FFP) scopes are becoming more common as the technology it takes to produce them becomes more cost efficient and the price of the scopes dips. An FFP scope arranges the reticle and the target lenses of the optical system such that they are affected equally by a change in magnification. More traditional second focal plane scopes are designed in a way that the target is magnified, but the reticle remains a constant size. Deciding if an FFP scope is right for you depends on several factors, but primarily it is a function of reticle choice. Knowing what we know about Mil-Dot reticles, it is easy to see that if the reticle changes in conjunction with the magnification it makes the reticle easier to use. The dot-to-dot distance will always be 3.6 inches, eliminating one calculation that would need to be made in the field. Similarly, for a true ballistic reticle, the demand that the scope remains on the designated power the reticle is designed around is now gone, making the scope more flexible. Where problems arise with ballistic reticles is in the less-specific ballistic reticle offerings. For those scope designs that offer a ballistic reticle that isn’t specific to a caliber, the changing magnification allows the reticle to be tuned, in a way, to that specific round. With an FFP scope, that flexibility is taken away, because the reticle is always going to related to the target in the same spaces each time. Scope Buying Tip: Budget drives most decisions. FFP scopes are still considerably more expensive than traditional second focal plane models, so for shooters wanting to take advantage of the measuring abilities of the Mil-Dot reticle, an FFP scope may be an option. This is also for those looking for a scope dedicated to a specific caliber. For customers who need more flexibility, or a scope that may be moved from one rifle to another, the more traditional second focal plane (SFP) scopes may be the solution.